Four presidents and four first ladies paid their respects to the late Barbara Bush, who passed away late last week at the age of 92. 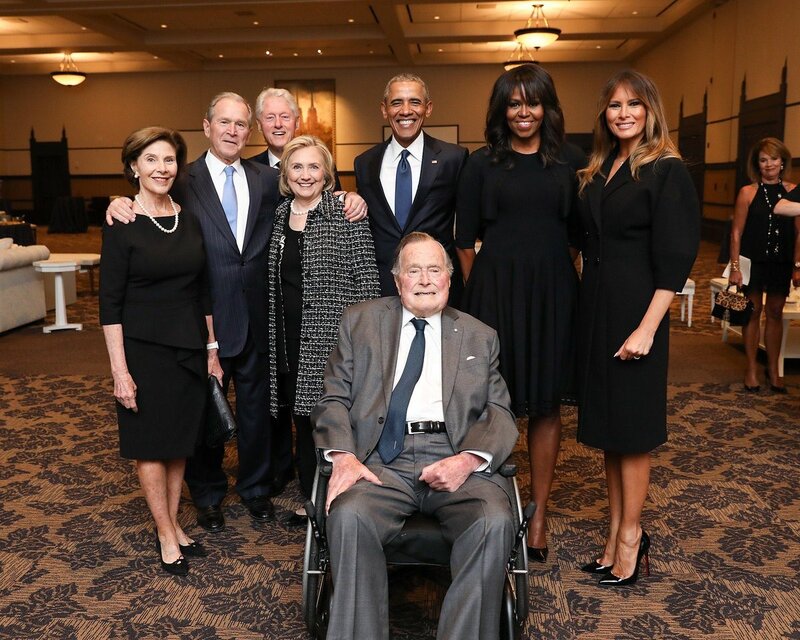 White House photographer Paul Morse snapped the photograph of the Bushes, Clintons, Obamas and first lady Melania Trump after the funeral. The snapshot of the former presidents and first ladies went viral on Twitter this past weekend. Over 1,500 mourners joined the Bush family in celebrating the life of former first lady Barbara Bush on Saturday. President Donald Trump, who did not attend the funeral in Houston, tweeted that he had watched the event from Mar-a-Lago.